Google plus is providing opportunities for businesses that other web access points do not. Two of those opportunities are Hangouts and Communities. But just what exactly are these tools and how can they be beneficial to your business? Google Plus’ Hangouts give you another meeting tool, another way to connect with staff in other offices or clients across the country. Communities give you a way to connect with people sharing an interest, people who could use your product or service now or in the future. 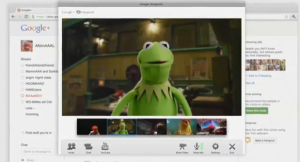 Hangouts are video streams that let multiple people chat live at the same time. It is a huge advantage to using Google+ and one of its biggest selling points. The video streams have been improved since Google plus was instituted, making it a better business conference site. As long as you have at least 150 kilobits per second of bandwidth, you can connect to a Hangout. 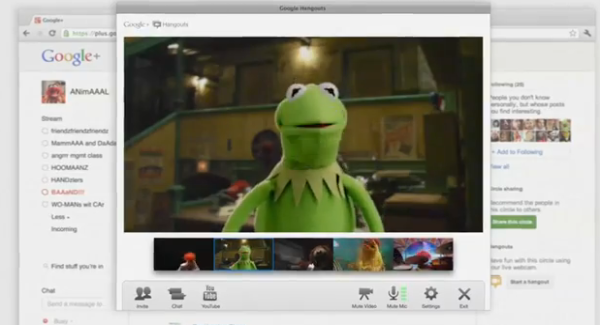 There are also Hangouts On Air, which allow Google plus users to broadcast hangouts to many viewers. That web-access avenue has also been tweaked. Now when the host is the only participant in the Hangout On Air, the filmstrip of faces below the screen will go away. A rapidly growing trend is Google + Communities. The Communities act similar to Groups on Facebook. Google + Communities are only a few months old, but have captured the fancy of those who are active on plus. It enables them to share information with individuals with similar interests. Communities can be a boon to your business as Communities provide a key way to interact with potential customers, enabling you to connect with people who have a vested interest in your products. Having an interested audience is a huge benefit to businesses and a definite way to increase sales. By being involved with a Community linked to your product area, you are much more likely to sell your goods and services. While the temptation is there to hawk your product continuously – and that alone can boost sales some – being part of a Google + Community gives you a great way to interact with customers and potential customers and build clients for the long haul, not just one-time sales. Google plus and other social media avenues should not be used simply as advertising venues, but more as ways to connect with current and future customers. Communities give you a great way to increase attention of your brand and services. Communities are straight-forwarded gathering places and people in a Community that matches your business are definitely potential customers. Once you have established yourself as a trustworthy source of information, people in the Community will be more more willing to listen to sales pitches. Again, a soft sell is definitely better. You are still looking to generate relationships more than just one-time sales through your efforts. If you look through the Communities and don’t find one that fits your product’s genre, start your own Community, and make it public to increase your audience. The experts at Archway can help you set up your own Community and monitor it for you. If you start your own Community, make sure to tell other Google Plus users about it, as well as clients and potential clients connected to you on other social media avenues, like Facebook and Twitter. Many people turn to Google Plus Communities to get more information or questions answered in a certain field. Make sure that you share your expertise with the Community audience so they turn to you as an expert in that field. No better way to get a potential customer to your site than to answer one of their questions by pointing to information already posted in a blog on your website. You can also use Community discussions as fodder for your website’s blogs or articles. Let the marketing experts at Archway help you with these Google + tools. Call us at 1-877-50-TWEET (877-508-9338) or email us at manageyourtwitter@gmail.com and let us help with your marketing efforts through Google Plus.